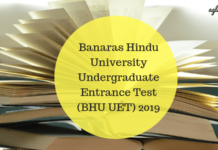 BHU UET 2019 Result – Banaras Hindu University will be announcing the BHU UET 2019 Result for all the programmes. As per the released dates, a candidate will be required to log in to their application portal to check their BHU UET 2019 Result. BHU UET 2019 is scheduled to take place from May 12- 16, 2019. BHU UET Result 2019 is going to be declared approximately till the first or second week of June 2019. On the basis of this result, a candidate will be further called for the counseling round and alotted a seat. Note that, the University will be mailing BHU UET 2019 Result as well as sending the result via a text message. So, for this reason, all the candidates are advised to provide with correct, working and personal email ids and contact number. 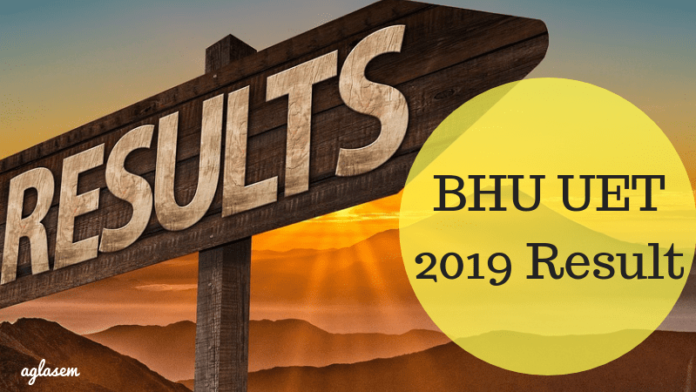 To know more details on BHU UET 2019 Result, a candidate can keep reading this article! Mody University Admission 2019 (Girls) - Apply Now!! JECRC University 2019 Admission - Apply Now!! Selected candidates will be required to appear for BHU UET 2019 Counseling round and get their documents verified. Only after which, he or she will be allotted a seat. Such candidates will be notified about this admission round through a Call letter sent by the Dean/Faculty Head of the Department, BHU. Note that, this call letter will not be sent by the authorities via any postal or courier service. Rather, a candidate will be asked to download and carry the same from the official website, as per the released dates. Candidates can keep a track of the BHU UET 2019 Result related events, from below. Result: Candidates will be able to check their BHU UET 2019 Result from here. How To Check BHU UET 2019 Result? Candidates will be able to check their BHU UET 2019 by following the steps mentioned below. You will be redirected to the application portal where you will be required to login with your credentials and the exam roll number. Submit the response after having filled all the mandatory fields. Your BHU UET 2019 Result will be appearing on your device’s screen. Make sure after checking your scores and other details, you save a copy of it for future reference. Some of the details will be mentioned on the BHU UET 2019 Result or scorecard. A candidate needs to ensure these details are mentioned or printed correctly on the scorecard. Once the Benaras Hindu University announces the BHU UET 2019 Result, it will soon be preparing and releasing the BHU UET 2019 Merit list. On the basis of this list, a candidate will further be invited to appear for BHU UET 2019 Counseling round. The merit list will be prepared on the basis of the marks or scores secured by each candidate and then it will further be arranged in a proper order. A candidate getting a higher rank or score will feature at the beginning of the list than a candidate getting a lower rank or score. Different BHU UET 2019 cut off mark will be set for different cutoff. A candidate will be able to know whether they have qualified or cleared the BHU UET 2019 exam round or not. The cut off marks and the counseling dates for this year has not yet been released. Candidates will be able to find the same on this page, once the authorities have released it. Check whether or not eligible for the BHU UET 2019 Course. Open the BHU UET 2019 application portal, as per the dates released. Fill all the necessary details and submit the form online keeping the last date in mind. 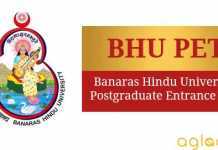 Download the BHU UET 2019 Admit Card. Estimate your scores with the help of BHU UET 2019 Answer key and the marking scheme. 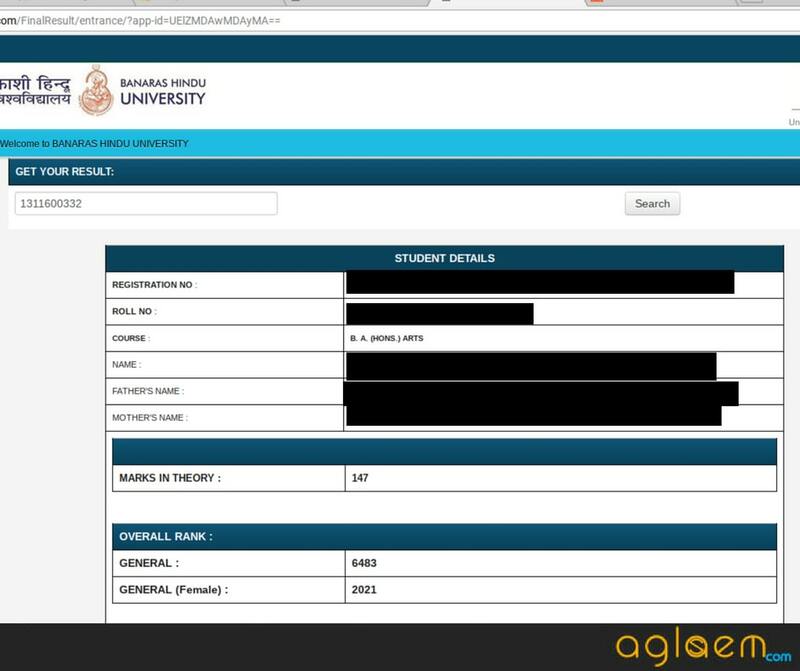 Once, the BHU authorities release the Results for UET 2019 check that by logging in to your application portal. Download the Call letter and appear for the last admission round, that of BHU UET 2019 Counseling. Get all the documents or details verified. Finally reserve the seat under your name by paying off the BHU UET 2019 admission fee for the course, that you have opted for. What happens in case of Inter se Merit? In the case of two or more candidates ending up getting the same score or rank, Benaras Hindu University shall be applying the inter se merit policy, designed for such a situation. Firstly, candidate having secured a higher percentage of marks or scores in the qualifying level of exam will be preferred. Exception – In case of a B.Sc applicant, the candidate with higher Science marks will be preferred. If the tie still persists, the candidate older in age will be preferred. Usually, BHU conducts the counselling round in the month of June, every year. The invites for this round will be sent through a “Call Letter”. As and when a candidate shall be asked to report with a list of following documents, a candidate must do so. Failure to do so may result in the cancellation of the candidature of a candidate. Certificate for children of BHU employee, if applicable. what is the date for BA 1st year result ? Give me a link for results UET . My trsulre is not be been yet what to do ? after entering my roll number screen shows you are not shortlisted what does it mean? after putting my roll no it is showing that result not upload? what does it mean? Plzz tell us when the result will be uploaded… It is not showing while putting my roll no.. The result has been out. You could check the result by clicking on the link available on this page. There might be a technical issue with the website. However you can still try checking the link available on this page once. What is the result date of B A agriculture. There might be some issue with the site. Check the link on this page for results. I still could not check the result of uet ba( hons) arts.it s showing that result till not uploaded.when will the result be out?? how can i prepare bfa practical exam ??? i am checking my result Of b.sc hons math group. But after entering my roll no it is showing result till not uploaded. What to do in this type of scenerio. you can share your roll number for us to help you. refer this site https://admission.aglasem.com/bhu-uet-result/ and if still won’t able to find the result it could be possible that some programmes result are still in the process of declaring. pleas help me iam not getting my bhu uet result…. please specify the programme you’d selected while filling the admission form. BHUUET includes many programmes so it could be possible that some programme results are still in the process of being declared. refer this link https://admission.aglasem.com/bhu-uet-result/ and if you won’t able to find your result it could be possible that for the programme that you had selected is still in the way of getting declared. for which particular you are asking since BHU UET includes many courses so kindly specify which stream result you required. can I have your roll number so I could help you better. Result abhiii baki h mere dosto……….. I am Manisha Jana and roll no – 1311600332. pl. upload my result. I am not getting my bhu uet result. Sir, please reply me… Kya SC category me cutoff par hone me BHU for Bsc. Hons. mil Skta h.. Result to aachuka h fir v? Sir I have got 142 marks in bhu ug general category. Will I be able to get admission in bhu? Sir. Meri rank 8860 h General female mein kya muje Admission milega?? plz… Reply….